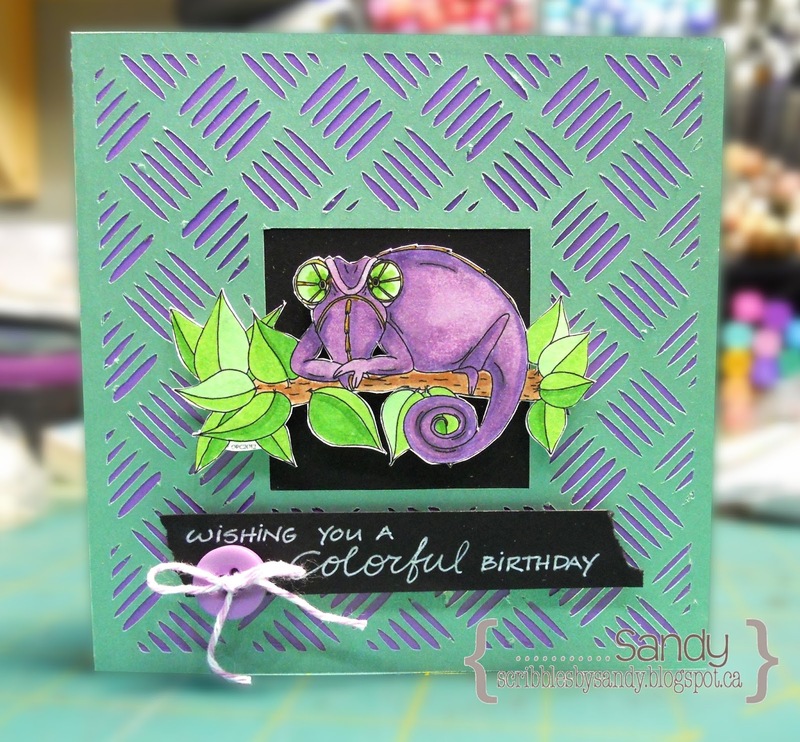 Awww I loved this little guy... Chameleon from Oak Pond Creations colored with copics and fussy cut, popped onto a svg cut background from Bird's Cards, layered onto black and purple card stock. The sentiment was hand-lettered onto a torn end black card stock added a button and twine bow to complete the look. what a great and lovely card Sandy. What a cute little creature. Love your card. Thanks for playing along with us at TTPH and Good Luck. This is pretty freaking cool looking Sandy. Love the textured background and coloring is phenominial. Hope you had a great weekend... I know it goes so fast... I am still trying to play catch up from a month ago. Super cute card! Love the image and your design. Thank you for joining our "Anything Goes" Challenge at Love to Create this week. Just love the colors you chose. Great way to use a cutting file too. Thanks for joining us at Creative Cutting Challenge!